Why look ordinary when you can look elegant? 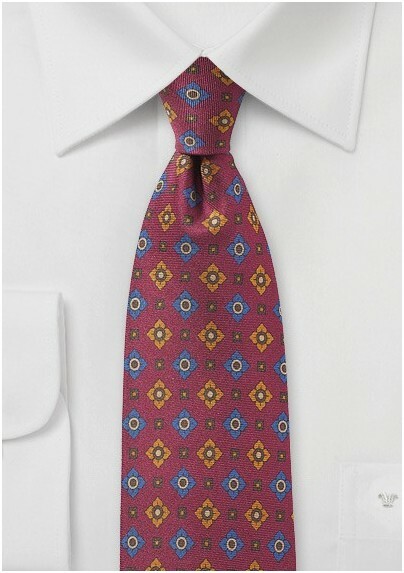 This floral Cantucci tie looks good with any suit and adds a touch of vintage-inspired elegance. 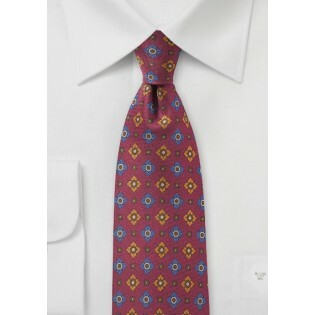 The small geometric flowers in mustard yellow and sky blue are overlaid on a burgundy background.